Notes: The menthol content of this oil is so high when distilled that the oil is usually solid. The oil is then partially dementholized or has some of the menthol removed to be liquid at room temperature. This process is usually done through freezing. Scent: Highly concentrated menthol/mint aroma. Depending on the source and level of dementholization, it can have a much more potent aroma than Peppermint oil. Action: Anesthetic, antimicrobial, antiseptic, antispasmodic, carminative, cytotoxic, digestive, expectorant, stimulant, stomachic. Benefits, Indications: Used for acne, sunburn, ringworm, scabies, relieving eczema, itching, removing blackheads, sinusitis, sore throat, muscle aches and pain, hypertension, colds, flu, fevers, colic, vomiting, kidney and gall bladder tonic, discourages milk flow in nursing mothers, fainting, shock, neuralgia, mental exhaustion, depression. 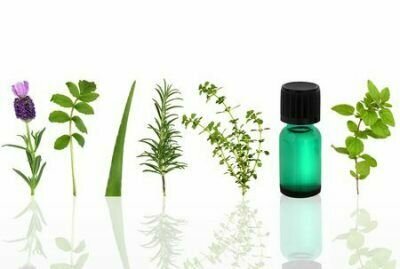 More Info: Cornmint essential oil is put into practice to treat rheumatic pain, neuralgia, toothache, indigestion, laryngitis, and bronchitis. It is also an accepted treatment for tumors, earache and certain types of skin conditions and has been found to be very useful for the treatment of strains, sprains and bruises, ringworm, scabies and muscular pain. It is considered to have a positive effect on the nervous system, as it can act as a sedative and regulator. Due to its antibacterial and antiseptic properties it can be used to treat swollen gums, mouth ulcers and to alleviate toothaches. Precautions: Contraindicated in instances of cardiac fibrillation and G6PD deficiency. Caution against using it topically near the face of children and infants. Cornmint may act as a choloretic. Avoid while pregnant. May cause skin irritation.